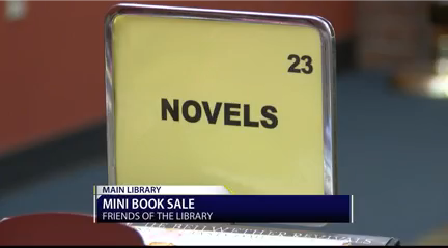 Friends of the Library is holding a mini book-sale on the second floor of the main library located in Downtown Lafayette. The sale will continue through Saturday from 9 a.m to 10 a.m., with several fiction genres available for your reading enjoyment. The mini sale will be the last one until the massive book sale that will be held at the Heyman Center in March.